The entrepreneur who created a Kintyre gin has come a long way from his graduation day. Uncovered in an archive of photos was this image of Beinn an Tuirc distillery chief, Niall Macalister Hall, who runs a stall at the Kintyre show today and has brought employment to East Kintyre. 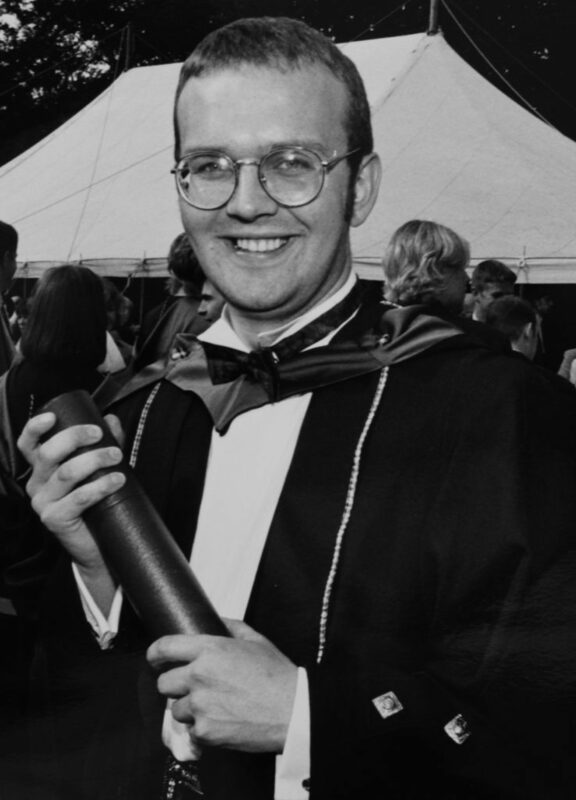 The picture is either from his graduation, in 1996, from Napier University with a science degree in rural resources or a year later when he achieved a masters in land economy at Aberdeen. Both have stood Mr Macalister Hall in good stead, leading to more than a decade in farm and estates marketing with Smiths Gore and latterly as a rural property sales consultant with Galbraith. 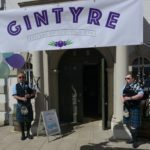 Slightly more than a year ago when the first gin and tonics from Beinn an Tuirc were being poured, Mr Macalister Hall said he would open a visitor centre at Torrisdale Castle for distillery tours. 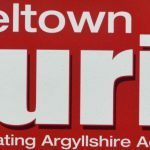 Next week that project will be formally opened by the MSP for rural affairs, Fergus Ewing. Mr Ewing will perform the official ‘cutting of the ribbon,’ and there will be a tour of the shop and tasting room, as well as the distillery.